As a boy, Douglas D. Osheroff preferred dismantling and reassembling his toys over traditional play. In separate accidents in his basement laboratory, young Osheroff blew a hole in the wall when his homemade rifle misfired, and nearly blinded himself when his self-designed lamp exploded. His father was a doctor, his mother a nurse, and during his high school years he constructed a working x-ray from spare parts taken from old machinery junked from their workplaces. In college he studied under Richard Feynman and Gerry Neugebauer. He later worked for fifteen years at Bell Laboratories, and taught for decades at Stanford, but his principle contribution to science came while he was still a graduate student at Cornell, in 1972. David M. Lee and Robert C. Richardson had constructed a new apparatus for supercooling substances in Cornell's low-temperature physics laboratory when Osheroff, in analyzing the transition of frozen helium-3 to a magnetic state, found that each time samples of helium-3 were chilled to a temperature of 2.7millikelvins, the internal pressure of the helium sample deviated. Detailed analysis showed that the samples were attaining the state of superfluidity — a complete lack of viscosity, allowing transfer of mass without transfer of energy. In brief, superfluids behave according to the laws of quantum mechanics, instead of the classical laws that ordinarily govern liquids. 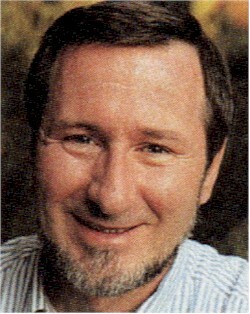 Osheroff, Lee, and Richardson shared the Nobel Prize for Physics in 1996, and Osheroff continues to teach and study quantum fluids and solids and glasses at ultra-low temperatures. He has also investigated adiabatic nuclear demagnetization, the dielectric and thermal properties of glasses, and kinetic theory.